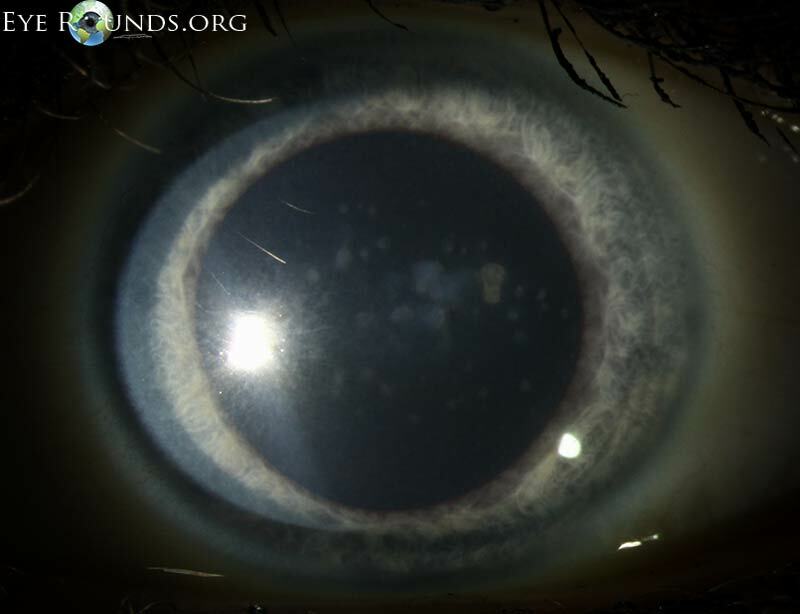 Corneal macular dystrophy is an autosomal recessive condition due to a mutation in the CHST6 gene which results in abnormal synthesis of keratan sulfate. 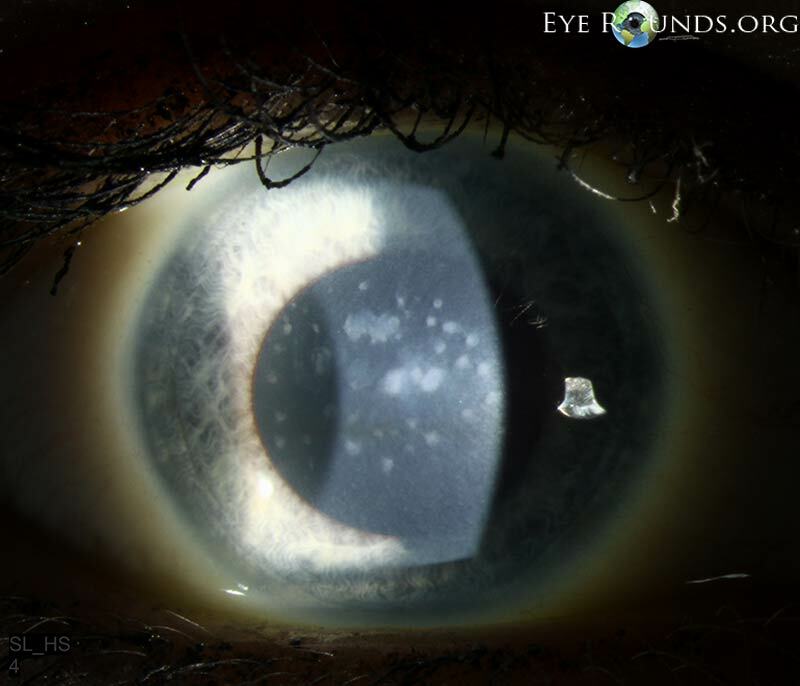 The condition presents with mucopolysaccharide deposits appearing as gray-white opacities throughout all corneal stromal levels and extending into the periphery. There is diffuse clouding of the stroma between opacities.